Everyday, I think of methods, strategies and ideas that I can use to create passive source of income for myself. Example, if you are a vocalist, love singing songs. You can create an album, sell it and continue to earn royalties for the rest of your life. Have you ever ponder, why some artists from the West become MILLIONAIRES just because of that one song,they sing, that sound so “pleasant”, so nice to the ears, they sell it and make lots of money? If you are not really good in singing like me, I will suggest, you write a book. … and subsequently in my 3rd year in business, I will complete it by then attaining the prestigious CFP designation, which is like a degree in the insurance world. As a source of passive income, I forsee myself, writing a book on financial planning. I also have this dream of owning a private property (in the process of accumulating as much liquid assets first). I read in the newspaper where PRs in Singapore are beginning to buy their house, instead of renting it from the landlord. Thus, I am still exploring the possibility of having one in Danga Bay,Malaysia, 3 years down the road. I am following the Malaysian news closely, and a landlord there, have been sending me lots of reports on the “planned” development in the surrounding area. If the Malaysian economy is healthy, 3 years down the road, with strong governance, manageable cost of living, which in turn attracts more foreign talents, there is a possibility, I will buy a property there, and rent it out. If not, I will prefer to put my money in stocks, and earn dividends from the companies, every single year. I, will just give an example. If I invested 1000 lots, in a group of companies or 1 company, and then the company decides to give $0.03 as dividends per share, I already earned $30,000 per year. Investments in dividends oriented companies is also a form of investment that can give you, passive income. Of course, you must die-die have sufficient insurance coverage, and contingency funds that can cover at least 6 months of your living expenses. You would not want to liquidate your investments at the wrong timing. I spoke to my colleague, just now, on how, she conduct her business. I forsee, that, if I continue to work hard, 3 years down the road, earning $10,000/mth, should be possible. Next month, on the 6th of August 2008, will be my first full year with NTUC Income, and I have a total of about 150 clients. I am planning my way now, to go back to all my clients to do a full scale, financial planning. 2 weeks roadshows, to get new clients, and 2 weeks follow up with existing clients, every single month. Coming September, I will have a personal office in Woodlands Civic Centre. It will be definitely be of much convenience for both me and all my clients, should we arranged for a meet up, for us to do a review. By next year January,I will have been quite SEASONED to my new office and I will then be hiring part times staff to work with me on Saturdays and Sundays. I will delegate most of the paperwork, telemarketing to them, and focus my 100% on applying what I have learnt, in the modules that I will undertake, when I do review with my existing clients. I am VARIBLISING my expenses. Expenses is divided into 2. Learn to control your expenses. Variablize your expenses. BE IN CHARGE of your money. Along the way, I will create as much passive income streams as posssible, till the day, I felt that I do not need to work anymore, since my passive income is hundreds of times more than my expenses. That is the time, I will contribute back to the society, my knowledge, expertise to the public. Right now, I contribute my expertise to the society, by educating them the importance of insurance, savings for retirement, children’s education etc2. 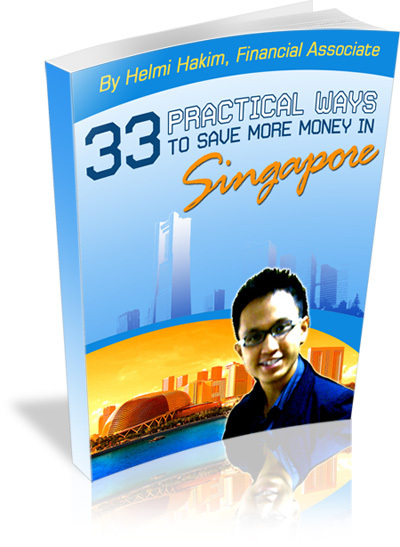 That book, will be a hit in Singapore, Malaysia, Brunei, Indonesia and other parts of the world. I will share the awesome powers of NLP with the Malay community and how I have been using it to achieve every single goal, I have set in my life. What is Exactly REITs (Real Estate Investment Trusts)? Financial Numbers That Lingers at the back of the Mind Of a 23 Year Old Guy…. I will be employing strategies to increase my productivity and bolster my professionalism level in the long run. All of us, your policyholders, will pray for your success! Good job bro, continue this great work..
With support from clients like you guyz, insyallah,we will grow together, in times to come. Wonderful. I wish everyone posted such great content. Thanks. Sam….